We took our time marching back to Orgrimmar from the glowing crater that used to be Theramore. 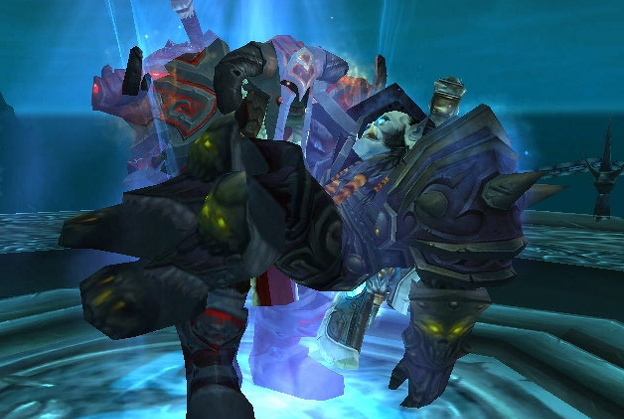 Most of the way, Baine and Vol’jin sulked and moped like somebody had killed the family pet, but overall the troops were in good spirits, to say the least. And then, when we finally approached Orgrimmar, morale took an even greater turn for the better. Outside the city, people were gathered to greet us. Hundreds – maybe thousands – of citizens of every race, gathered at the front gate and all across the Dranosh’ar Blockade, waving, cheering, crying out to us as we approached. They were gathered so densely that we couldn’t even get in the gate when we finally reached it. 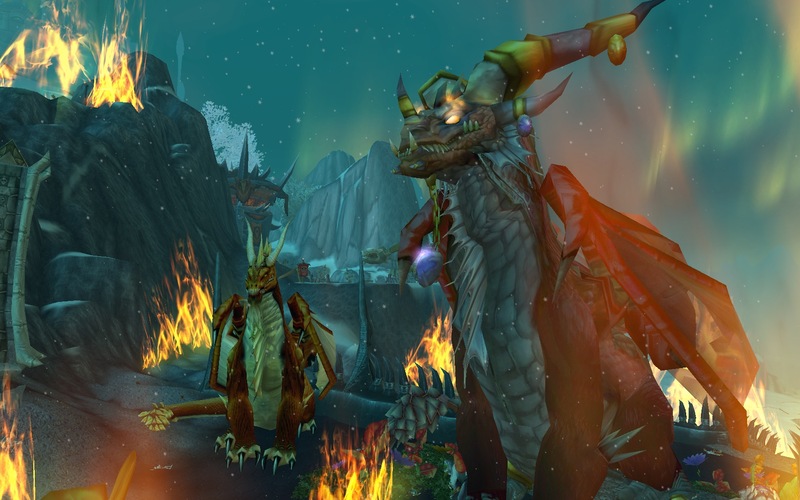 It was like the hero’s welcome we received on our victorious return from Northrend – only better. More raucous. More jubilant. More hopeful for the glorious future for the Horde that we could all feel dawning. Music to my ears. Almost enough to full the hollow ache that’s nagged at me since Northwatch. 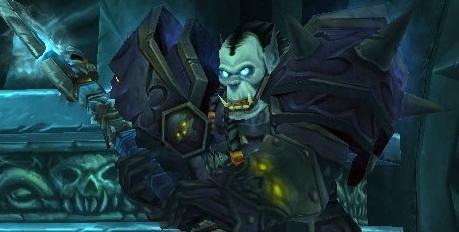 On the way back to Orgrimmar, I sent orders to Captain Gharga and the fleet at Theramore for the next stage of our plan. The fleet will spread around the continent and form a blockade around all remaining Alliance ports: Lor’danel, Feathermoon Stronghold, Rut’theran Village, Azuremyst Isle. 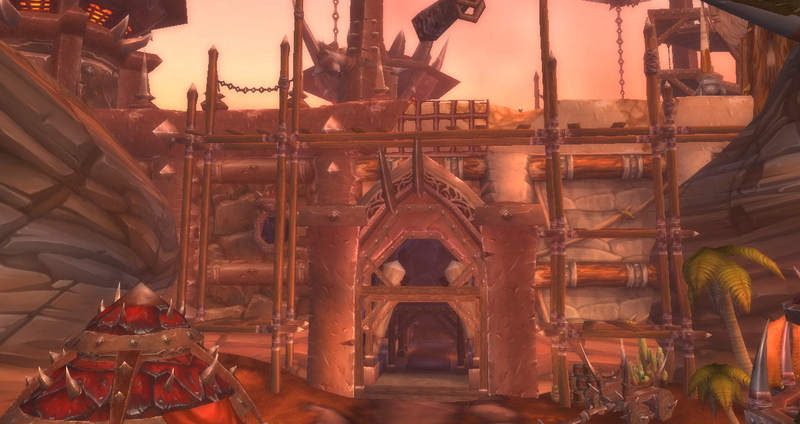 They’ll all be sealed off from outside support and then, one by one, we’ll move in and pick them apart, until finally, Kalimdor will belong to the Horde and the Horde alone. But that will be a victory for the future. The NEAR future, make no mistake, but the future nonetheless. For today, we have another victory to celebrate. I’ve ordered six days of festivities in Orgrimmar to commemorate what I know will prove to be the turning point in the history of the Horde. 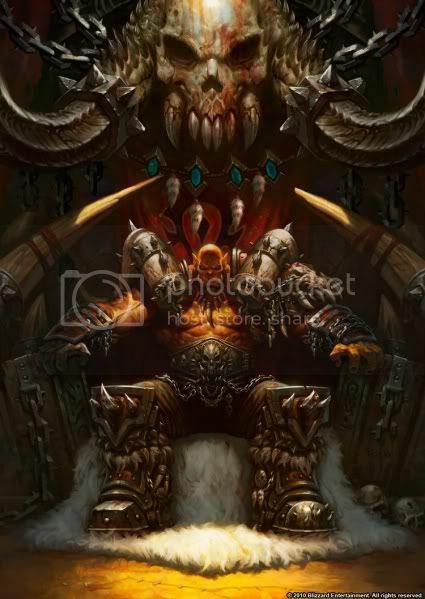 All of our warriors are instructed to remain in Durotar for the length of the celebration, and I’ll be issuing individual summons for all those I’ll be expecting to stay in Orgrimmar proper. Six days of celebrations – raptor fights for our entertainment, sparring contests with generous prizes funded personally by yours truly, food and drink for all. As it happens, our return home coincides almost perfectly with Brewfest, so all the better – beer and grog from around the world! Tap every keg in sight, boys and girls, and let the ale flow – all on your Warchief’s tab. Let it wash down the feasts – and oh, man, will there ever be feasts. All accompanied by lok’tras and lok’vadnods by the best of our bards and poets. And you know what that means. Oh yeah. Can’t just conjure up, now can you? You’re just stuck now ruling ruins. If you’re smashed to little pieces! All opposed fall to the Horde! The Alliance that you mourn for. Enjoy it, Horde. Soak it in. You’ve earned it. Hi everyone — a quick out-of-character announcement from Averry. I’d mentioned in response to a comment a little while back that I was planning to create a guild for friends and readers of blog-Garrosh to come hang out an meet each other. I finally got around to creating the guild about a week ago (I didn’t want to interrupt the recent alternate-reality story with an announcement at the time), and so now, come one, come all, <F Y V> is now ready and waiting with open arms! 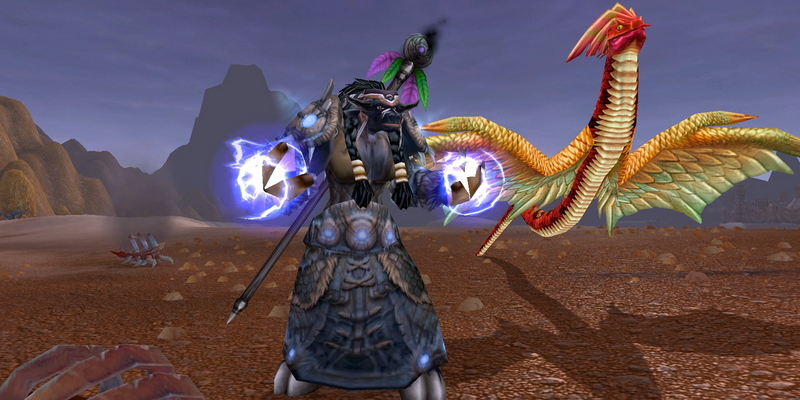 Ultimately the guild is going to be a (mostly) alt guild for screwing around and socializing, although I wouldn’t be above using it to instigate a cross-realm retro-ish raid or two as time goes on. 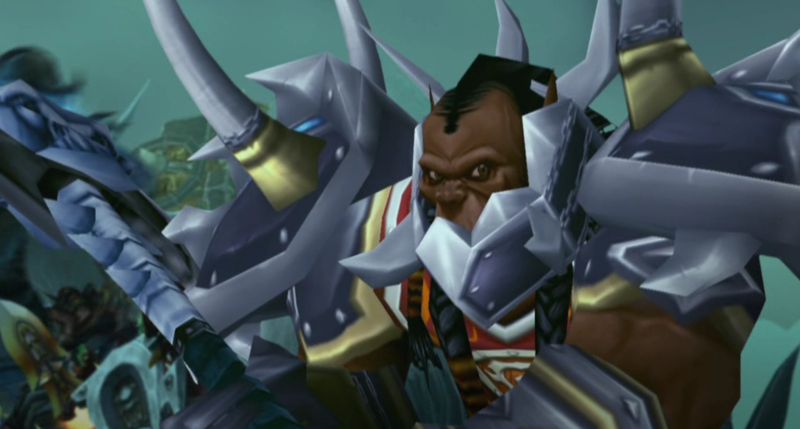 Above all else, I thought it might be a good way to meet some more readers and fellow bloggers, since I don’t often get to interact with you all directly while tucked away behind the Garrosh persona. So, if you’re interested and dropping by and saying hello, <F Y V> is located on Kargath-US server, and run by a certain goblin by the name of Spazzlefizz. If Spazzle himself isn’t online, feel free to look for me under my Battlenet tag, Averry#1116. I was groggy when I woke up, and even after I opened my eyes, it took a few minutes for my head to stop spinning. Finally my vision cleared up and I found myself sitting in a chair, sprawled forward over a table. There were papers under my face, and a few of them stuck to it courtesy of a small puddle of drool. I straightened up in the chair, plucked the clingy pages from my cheek, and looked around the room. 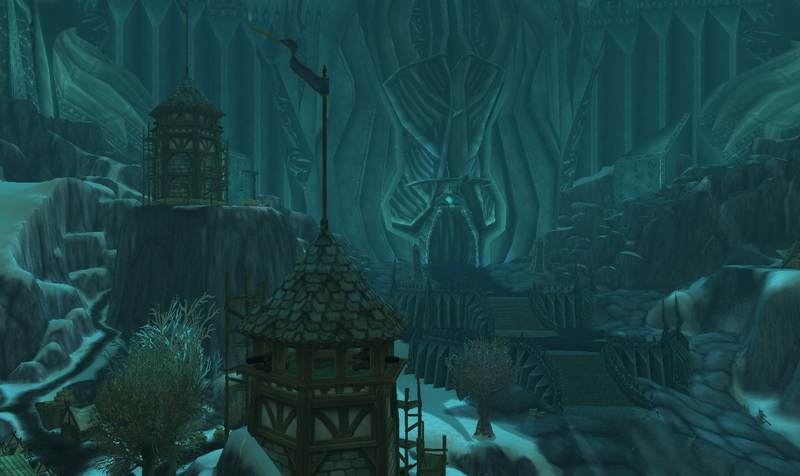 It was the admiral’s quarters in Northwatch Hold, the room I’ve been using the last few days of our stay here. The drool-smeared papers in my hand, and others spread around the table, were covered with maps of Theramore, lists of troop assignments, armament logistics, the crew manifesto of a goblin air galleon. I ran my hands over the table to make sure it was really there. And then my uneasy brain went looking for hallucination in the next most likely place. I stood up, gathered more of the papers from the table, and started paging through them — not even reading anything on them, really, just wanting something I could feel in my hands. As I held the documents over the tabletop and looked at all the words without ever reading any of them, my arm brushed another paper, this one creased and folded, jutting out of my belt. The military documents spilled around the floor as I grabbed the folded paper and rushed to unfold it. It was worn and stained with what looked like blood, just a torn-off scrap, not even half a page. Scrawled across it was the familiar handwriting of the Master Apothecary of Sylvanas’ Royal Society. Or the man who would become him. He really, REALLY never listened. It’s like some weird matter of principle with him. I don’t even know if he was really trying to help, offering some begrudging, misguided gesture in parting…or if this was his way of giving me one last middle finger for the things I’d forced him to do. I don’t know if I could hold either against him. But that sealed it. It all happened. Except that it didn’t, now. It worked. We did it. We saved the world. It all happened, just the way I remembered it, just the way it was supposed to. I walked over to the tower window. I needed some air to clear my head. 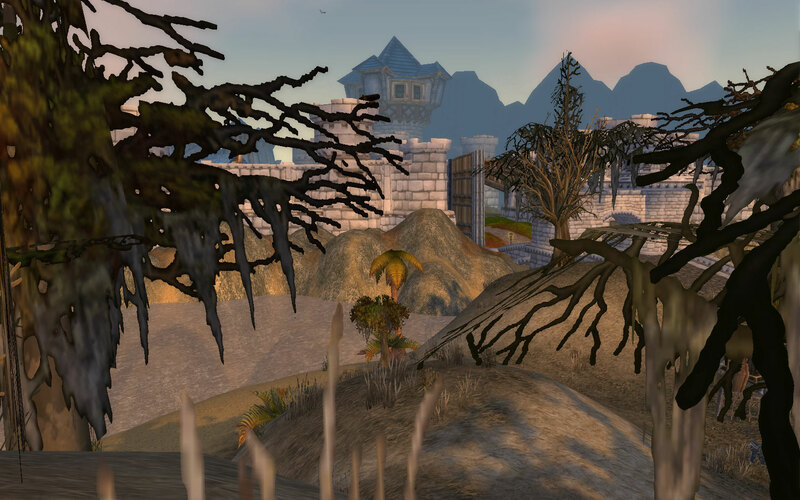 I leaned out and looked across the Barrens. 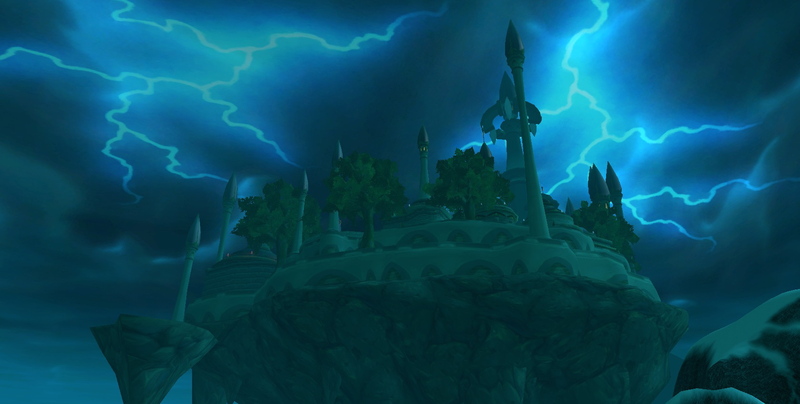 I could see Horde banners below, and a squad of Kor’kron wyvern riders circling past as they patrolled the area. And as I looked off into the distance, staring at the horizon more than anything, I started to make out wisps of smoke, faint black tendrils reaching up to the sky from old, spiteful fires that refused to go out completely, even after all this time. I turned from the window and stepped back into the room. And then I grabbed one of the chairs arranged around the table and threw it against the wall. The chair broke into pieces. I ran over and grabbed them up, one after another, breaking them into smaller pieces and smashing them against the wall again. And then a second chair. And a third. Screaming with each one — AT each one. I threw them around the room until the chairs were pieces and the pieces were splinters, smashing them against the walls and the floor and each other as if by breaking them enough I could force back the thoughts I couldn’t help thinking. I ran across the room to a bookcase that stood against one wall and sent it toppling. Books spilled around the floor. I lunged down, hunched over, grabbed them by the fistful and hurled them against the walls. Watched them clatter back to the floor. It didn’t help. I grabbed up more of them, pulling them open, ripping them apart at the spines, flinging loose pages around until they fluttered uselessly down around me. Fluttered like shimmering white wings. I pounced back on the broken bookcase, yanked out one shelf, flung it across the room. It clattered to the floor. It didn’t break. I wrenched out a second shelf and threw it against the door, leaving a deep gash in the wood. That one didn’t break, either. Somehow that only made me angrier, sent me into a rage at its stubbornness, its stupid defiance, refusing to snap. How DARE it — how dare ANYTHING — and I ran to the door, grabbed up the fallen shelf, and beat it against the wall until it splintered. It didn’t help. It wasn’t enough. The door to the room opened and Malkorok leaned in. I only heard bits and pieces of whatever he said — something about the noise, and my yelling, and if I was all right. I spun on him, struck him across the face, then threw him back out of the room and down the stairs before slamming the door, rattling it on its hinges. Today is not the day to ask me if I’m all right. I grabbed one of the broken chair pieces and jammed the door shut. I wasn’t in any mood for interruptions, least of all from the likes of him. The admiral’s bed — flung over, frame snapped, mattress torn open. Feathers floating through the air and scattering around the room. The nightstand next to the bed — lifted over my head and slammed down onto the floor, shattered awkwardly into pieces. Its single drawer split off awkwardly and spilled letters and trinkets across the floor. Part of it splintered off as I swung the nightstand down onto the floor and stabbed into my forearm. I barely felt it. I didn’t even notice until a spattering of blood started to dribble onto the letters and papers strewn around the floor. It still wasn’t enough. It might never be enough. Go be a hero, he told me. Go save the world. I did. We won. And all I had to do was kill him. All I had to do was burn Taurajo. All I had to do was become the final secret conspirator against our people in time of war, once upon a time. All I had to do was save traitors, destroy families, forsake all honor in the face of a battle too dire to be won by any other means. I don’t know how long I can stand to live in this world if these are the choices I have to make to save it. I was racing around the room in circles, kicking at anything in reach, clawing pictures down off the walls. Only really half seeing what was around me, just grabbing anything I could, then throwing it or stomping it underfoot or breaking it over one knee. At some point I found myself spinning in place, roaring madly at nothing, and then threw myself at the table, beating it with both fists, pounding over and over until the wood buckled and the beams split and it all came crashing down and still there I was among the pieces on the floor. I pulled myself up and looked around the ruins of the room, choking down air in gasps. This room isn’t big enough. It isn’t big enough. Nothing in it is big enough. We march tomorrow. Theramore burns.